bestowed. My Favorite Monthly Subscription Box, has offered me a coupon code for any reader interested in ordering a box. Use the coupon code HELLOYUM73 to get your first box for $10 (normally $19.00) Coupon Code is good until 5/15/14. You get an assortment of FULL-sized healthy snacks, beverages, and more — delivered to your door every month. All products are selected by nutritionist and author Heather Bauer and every box is loaded with expert tips, recipes, and advice! FREE Shipping. Love this months Earth Day Box! So many new and fun items. I love the variety in the bestowed box. So many new snacks to try out. With each box you can always count on some really good coupons for free items or special pricing for bestowed customers. Also look for bestowed on Twitter. Check out all my bestowed Box Reviews here and here! 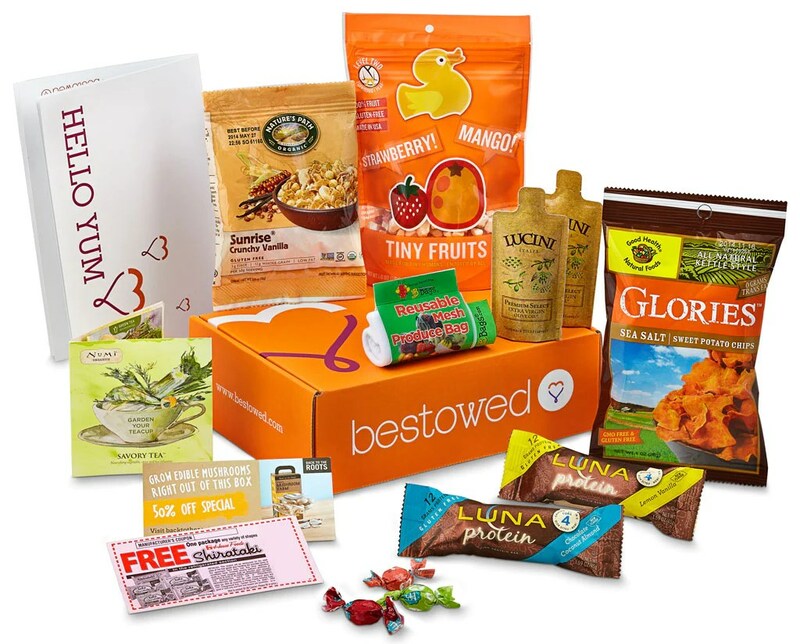 If you want to subscribe to bestowed Box, don’t forget to use the coupon code: HELLOYUM73 to get your first box for $10 (normally $19.00). Hurry the offer expires on 5/15/2014.